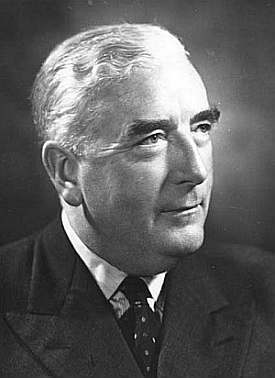 Australian Prime Minister Ben Chifley gave this speech to a meeting of the Australian Labour Party in 1949. The speech was voted one of the most important Australian speeches in a survey by the Australian ABC network. He describes the reason for the Labour Party’s existence, not just in Australia but worldwide. The complete transcript can be read on the Australian Politics.com website. The recording is not the original, but a re-enactment from the series ‘Great Rural Speeches’ on ABC in 2007. 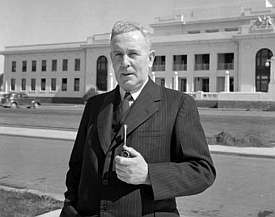 Ben Chifley: When I sat at a Labour meeting in the country with only ten or fifteen men there, I found a man sitting beside me who had been working in the Labour movement for fifty-four years. I have no doubt that many of you have been doing the same, not hoping for any advantage from the movement, not hoping for any personal gain, but because you believe in a movement that has been built up to bring better conditions to the people. Therefore, the success of the Labour Party at the next elections depends entirely, as it always has done, on the people who work. Australian Prime Minister Paul Keating gave this speech in Redfern, Sydney in 1992. The speech was voted one of the most important Australian speeches in a survey by the Australian ABC network. Keating talks about the problems of Australian Aboriginal people and lays the blame firmly on the non-Aboriginal settlers. The speech and complete transcript can be heard and read on the Australian Screen Online website. It’s a fascinating site. Paul Keating: We non-Aboriginal Australians should perhaps remind ourselves that Australia once reached out for us. Didn’t Australia provide opportunity and care for the dispossessed Irish? The poor of Britain? The refugees from war and famine and persecution in the countries of Europe and Asia? And as I say, the starting point might be to recognise that the problem starts with us, the non-Aboriginal Australians. It begins, I think, with an act of recognition. Recognition that it was we who did the dispossessing. We took the traditional lands and smashed the traditional way of life. We brought the diseases and the alcohol. We committed the murders. We took the children from their mothers. We practised discrimination and exclusion. It was our ignorance and our prejudice. And our failure to imagine that these things could be done to us. With some noble exceptions, we failed to make the most basic human response and enter into their hearts and minds. We failed to ask, ‘How would I feel if this was done to me?’ As a consequence, we failed to see that what we were doing degraded us all.